Posted in: Daily Posts. 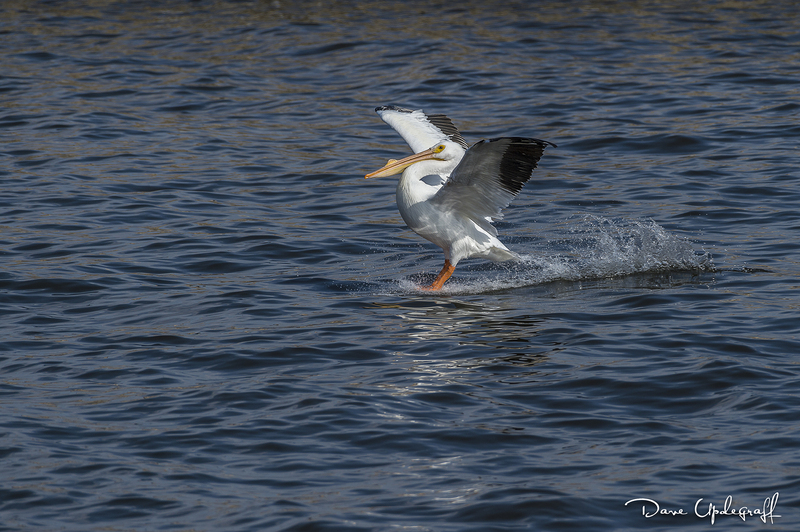 Tagged: Canadian Geese, Duck Pond, Pelicans, Photography, Sunset, Wildlife Photography. 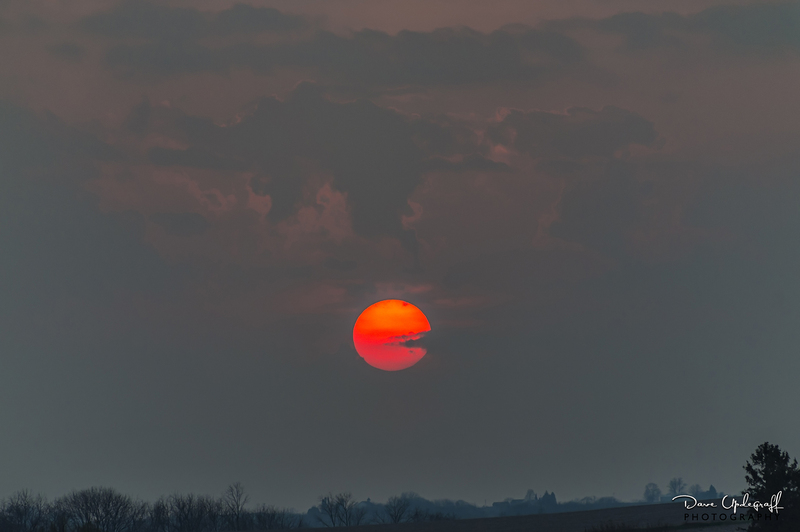 I have three images for you today that I captured last evening on the way home. 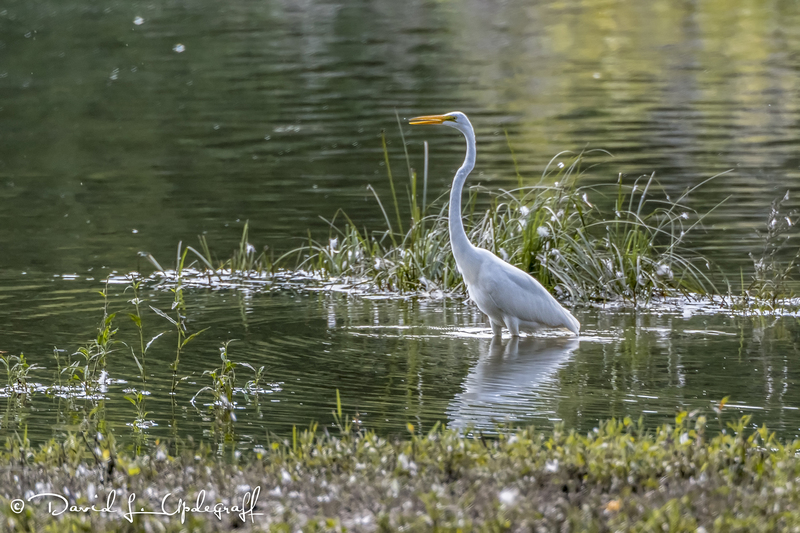 On the way to work yesterday, as I came by the “Duck Pond” I saw a large clump of white birds sitting on one of the islands. 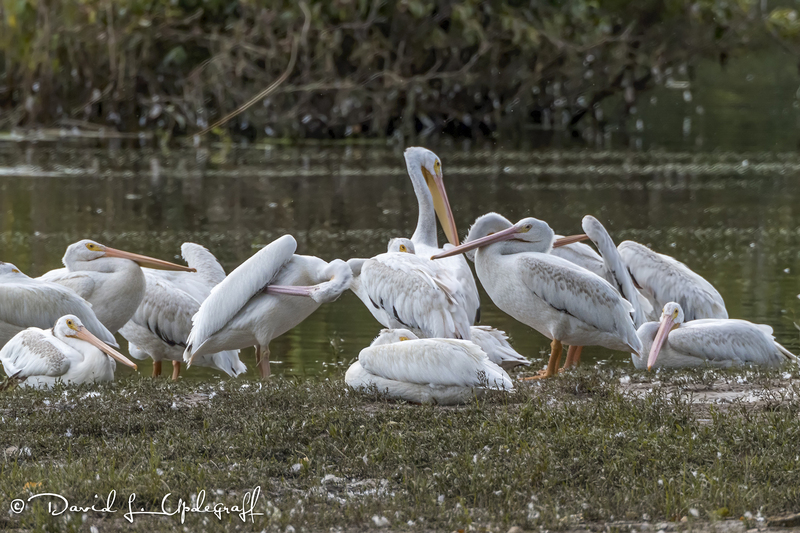 At first I thought they were swans but as I got closer I could see that it was a large gathering of Pelicans. They covered most of the small island. For once I wasn’t late but if I had stopped and set up for the shot I would have been so I just kept going. The thing that bothered me was that there had been three separate pairs of geese nesting on the island. I knew that their nests were probably destroyed and that their young were never hatch. The six geese were swimming around the island “honking” but there was little they could do against superior numbers and larger birds. 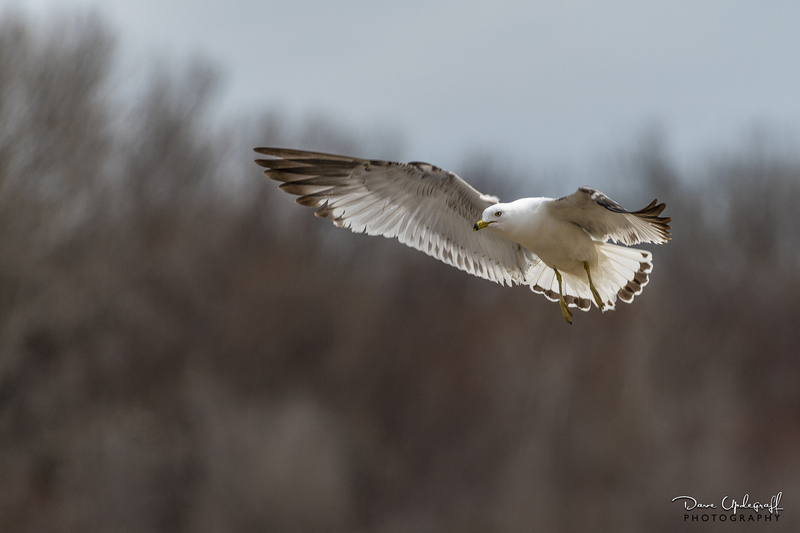 I had been in Des Moines for training on Tuesday and Wednesday so by the time I got caught up on my work it was much later and I couldn’t really tell what damage had been done to the nests. 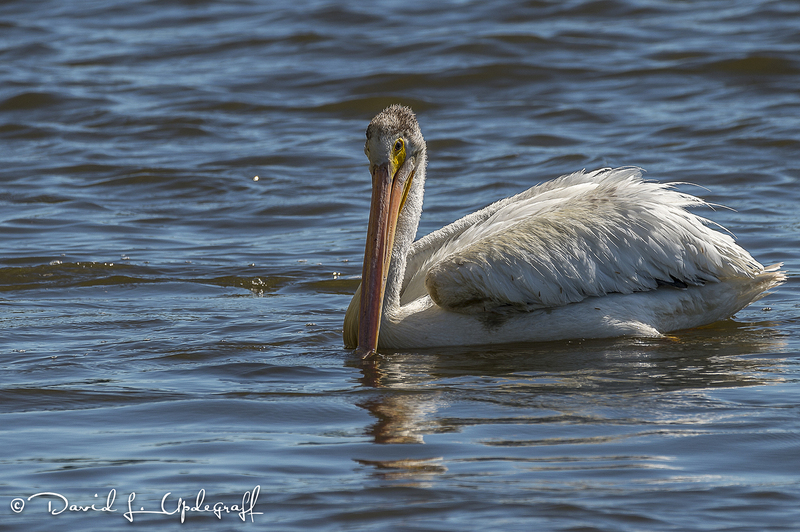 This lone pelican was all that was left of the group. There were no geese on the island. 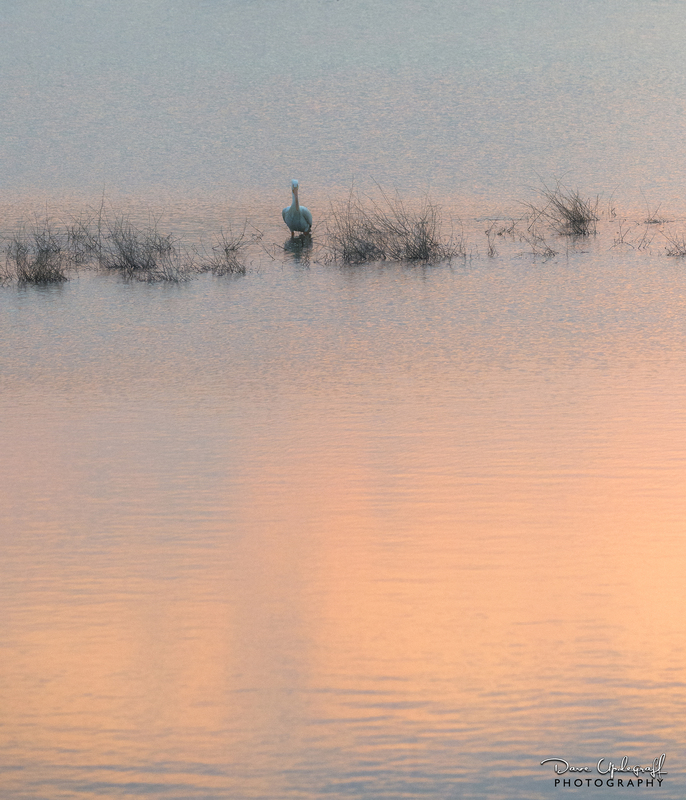 I couldn’t get the same angle on this goose to line up with the reflection of the setting sun like on the pelican. 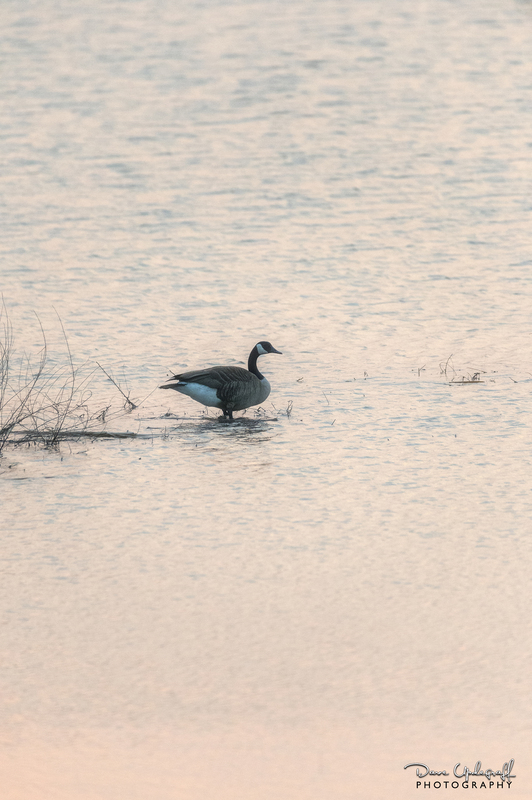 I just enjoy photographing geese no matter. Posted in: Daily Posts. 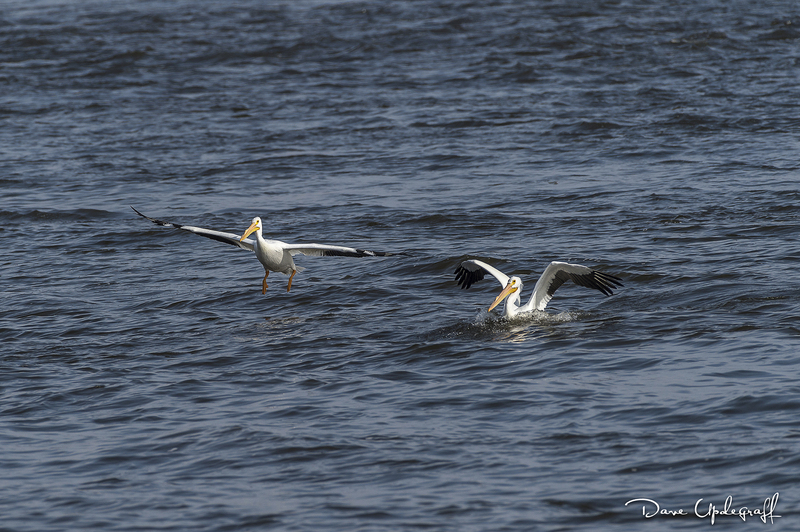 Tagged: Lock & Dam #14, Pelicans, Photography, Wildlife Photography. 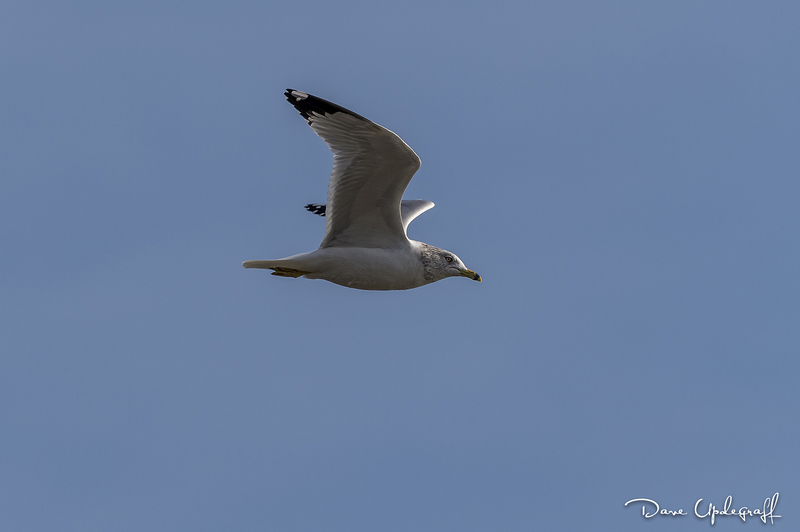 I have three images for you today and while they are not images of eagles they are big birds that fly and are fun to watch. 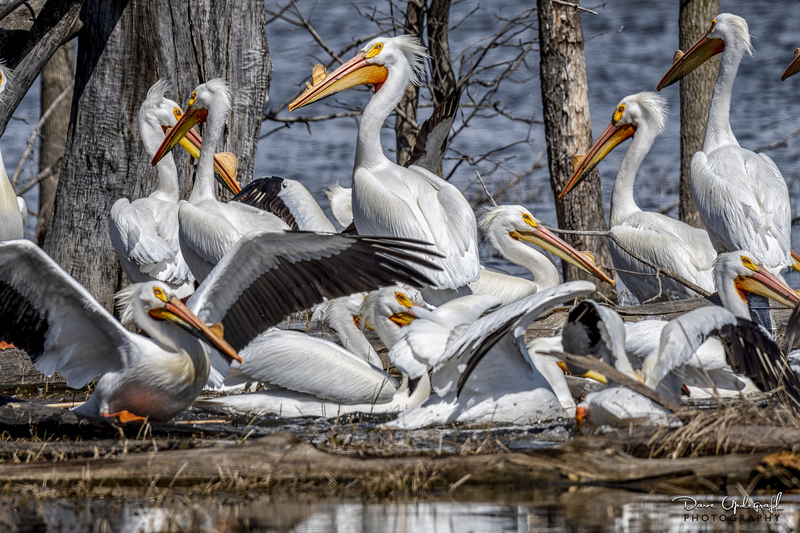 There always seems to be a lot of pelicans at LD #14. There was only one when I first arrived and he would start by the lock door and float / swim up past the observation platform and then turn around and go back. 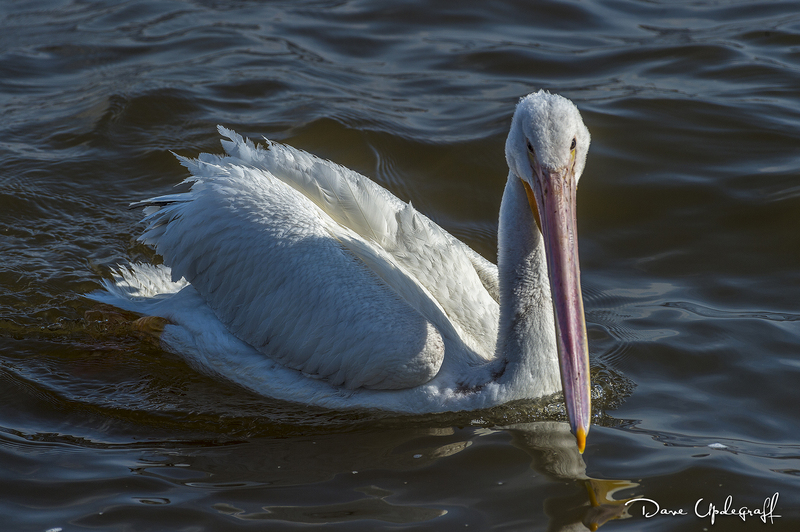 More pelicans came as time wore on and soon there were a half-dozen all fishing in the calm water. Every once in a while I would notice one of their heads go underwater and he would come up with a fish in his mouth, which quickly disappeared down his throat. I was never fast enough to capture that moment even though I followed one with my lens for several minutes. Posted in: Daily Posts. 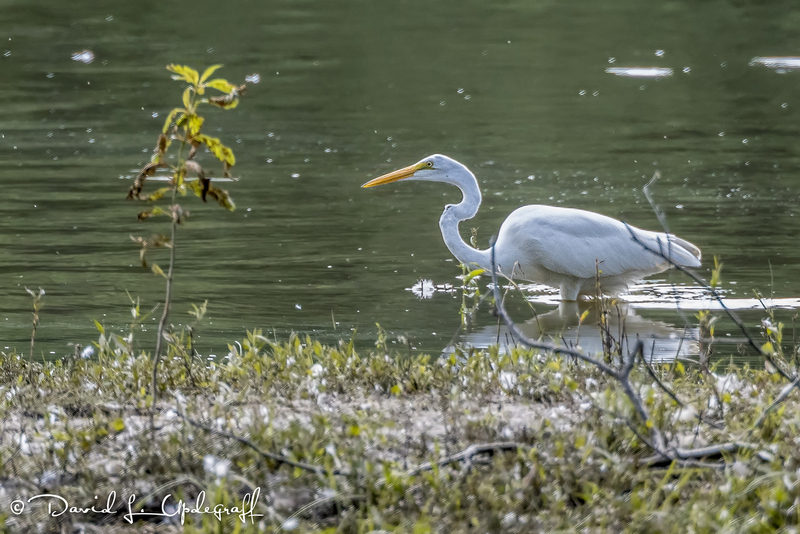 Tagged: Great Egret, Mississippi River, Pelicans, Photography, Private Property, Wildlife Photography. That has never happened to me, ever. 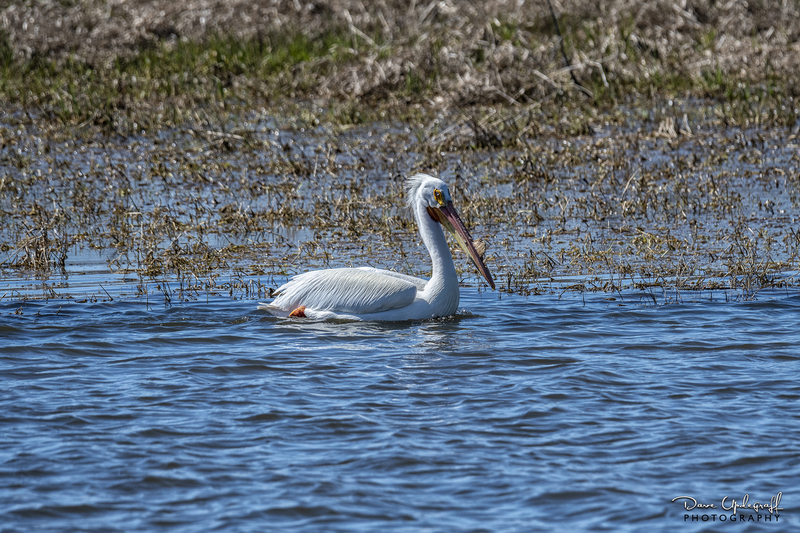 So I was out running errands yesterday afternoon and I happened to be driving by a backwater area of the Mississippi. Through the trees I caught a glimpse of some white birds and since I had my camera with me I was more than anxious to grab some images. 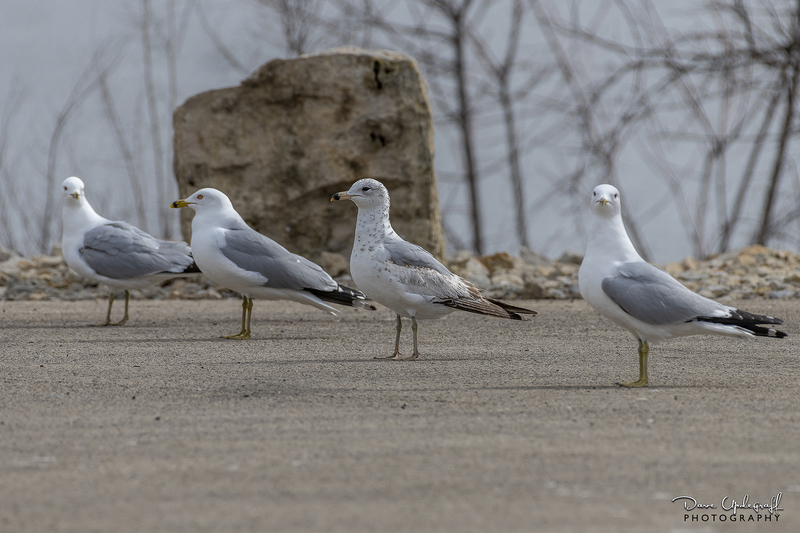 It took me about 20 minutes to find a way off the highway and down to the area where the birds were. As I approached the area I saw there was a business sitting off to my right with a clearly defined roadway and what I perceived to be an equally well-defined property line. So I stayed well to the left of the business and parked in an area that I thought was okay. There were a lot of geese around the area and I walked very slow so as not to excite them or traumatize them. I mean I have photographed thousands of geese before and not one them has ever complained. 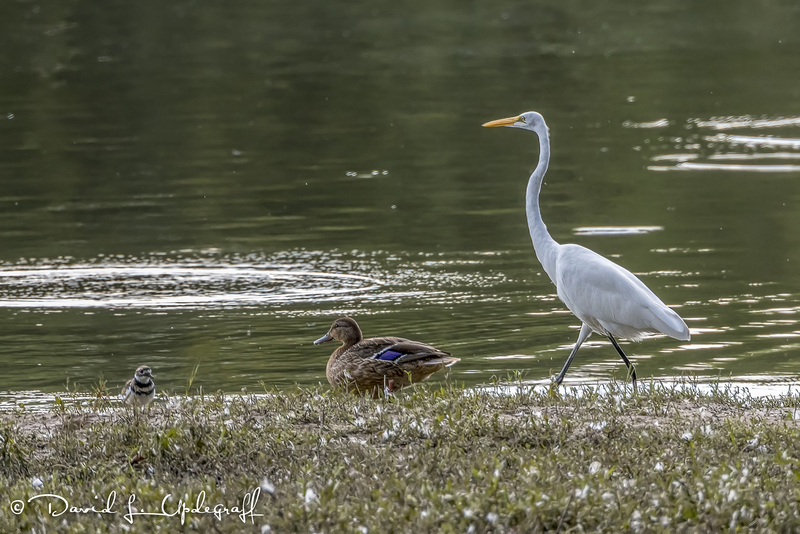 What I was obviously interested in was this Great Egret. I got as close as I thought I could so as not to spook him. I got off about 20 shots when I heard someone yelling something. It is never my intention to spoil or interrupt anyone’s day for sure. So I left the area and will not return to that place again. Posted in: Daily Posts. 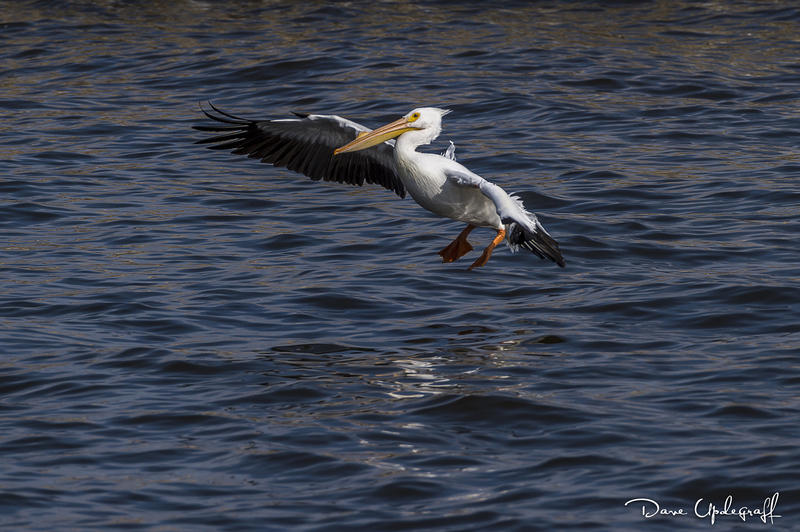 Tagged: Barges on the Mississippi River, Pelicans, Photographing the Moon, Photography, Turtles, Wildlife Photography. A potpourri of images for you today. 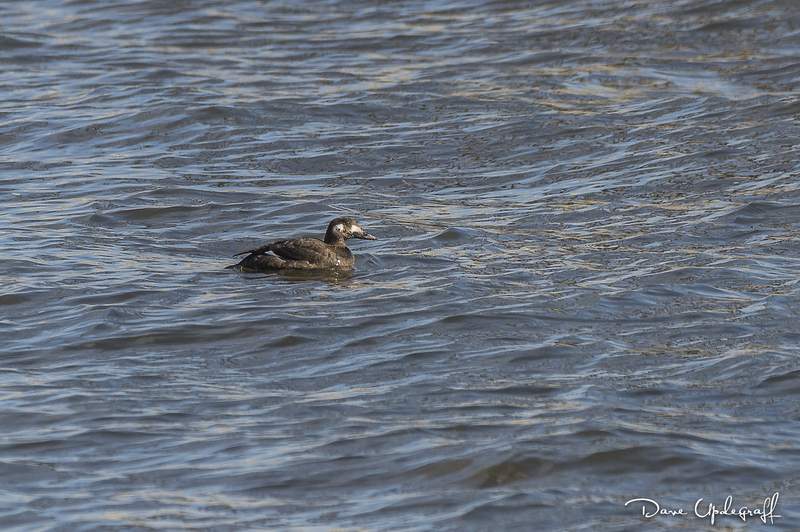 I had a meeting down town yesterday morning and after that I headed for the river with my long lens. 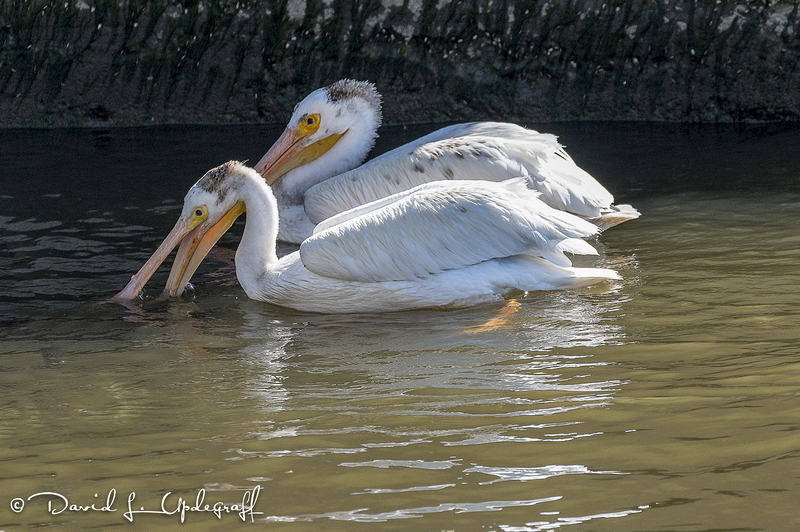 Found a group of pelicans fishing near the lock so I spent some time photographing them. 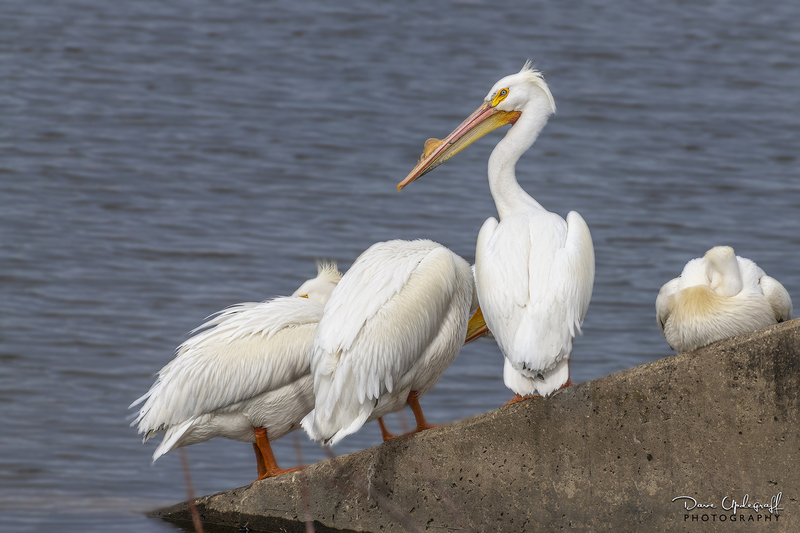 I didn’t realize until halfway through my session that there was a lady below me on the walkway who was also photographing the pelicans. 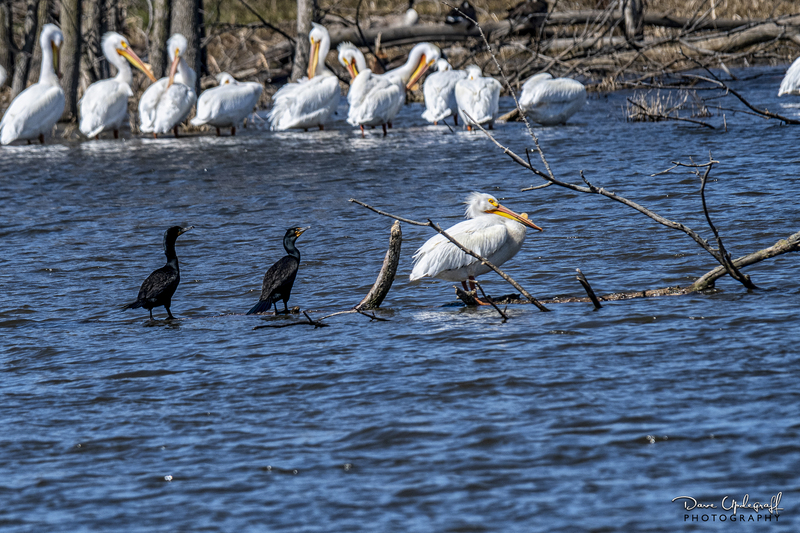 This is a favorite fishing hole for many local anglers and when a group of pelicans are hanging around it there are very few fish available for the humans. I was getting ready to leave when fisherman crossed over and took up his position on the outside wall of the lock. I obviously didn’t know his intent but it looked as though he was trying to scare the pelicans off with his casts. 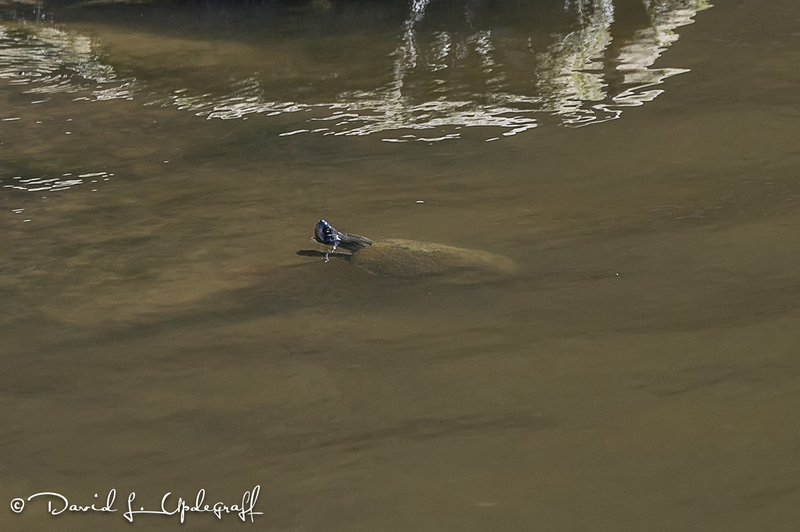 At first, I thought this was a stick protruding from the water but it kept moving and when I looked at it through my lens I saw it was a turtle swimming towards the shore line. The more I watched the more turtles I saw swimming in the same direction. I was probably there 30 – 45 minutes and didn’t notice them until I saw this one. Then when I started looking for them, they were plentiful. 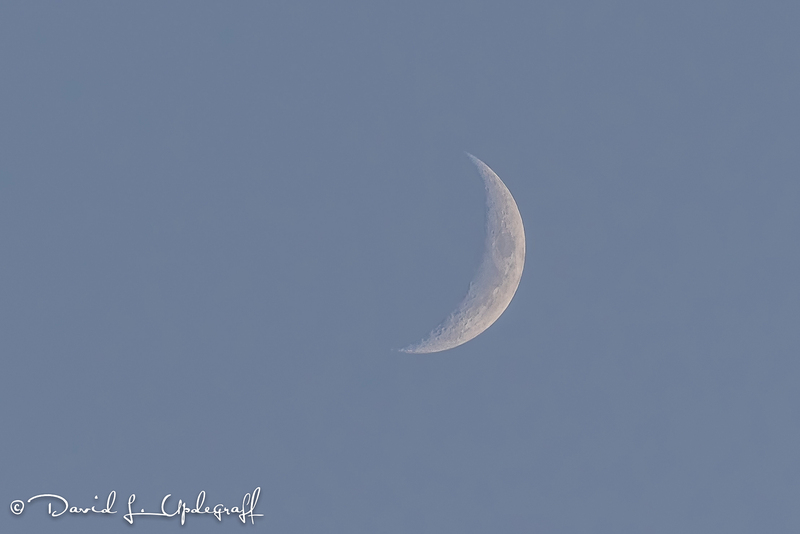 Grilled some burgers last night and as I was enjoying the mild weather on the patio I noticed the sliver of moon. I grabbed my “small bird” camera that I keep on a tripod and set up with the 400 mm lens (a little small for the moon) and made a couple of shots of the moon. That’s it for today. Supposed to be a beautiful day in our part of the world. Hope it is where you are as well. Thanks for stopping by. Enjoy your day and be careful.